Buddha's Delight - Vegetable Feast by Jet Tila. New cookbook out now! 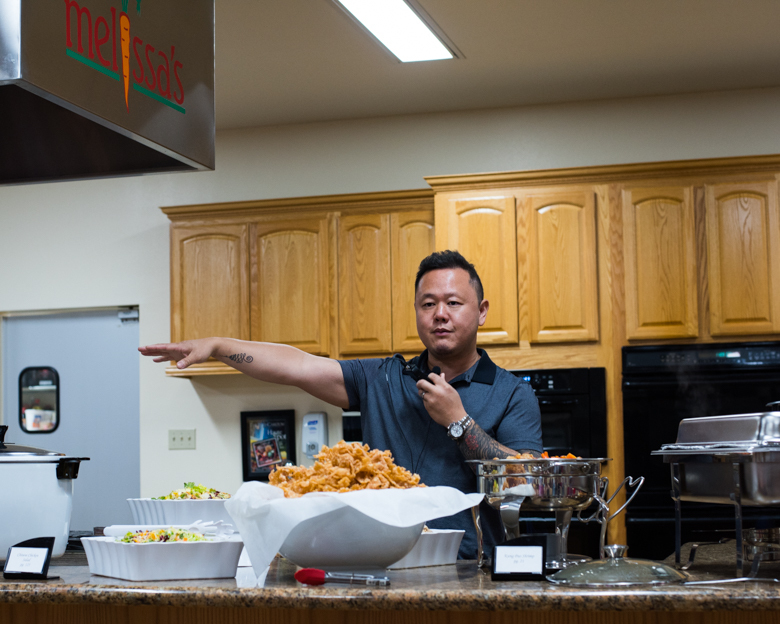 I recently had the ultimate privilege to meet the legendary Jet Tila, at Melissa’s Produce. 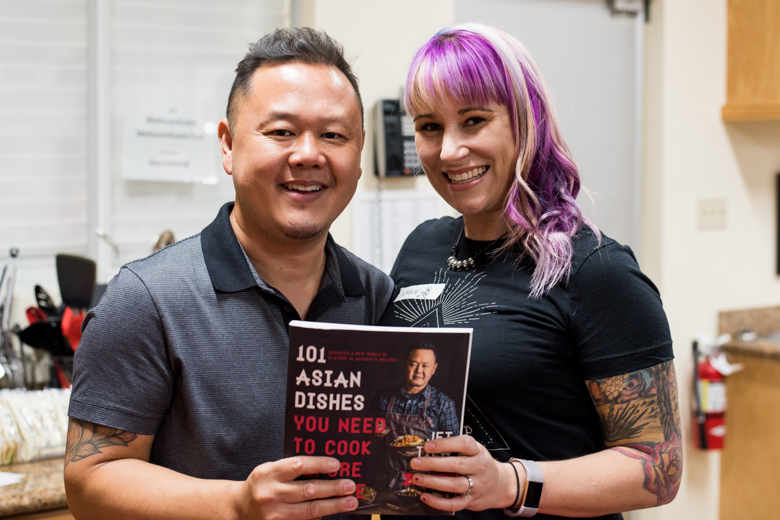 The team at Melissa’s made quite a few recipes of his from his new book – 101 Asian Dishes You Need To Cook Before You Die, and they were all delicious. If you’re not familiar, Jet Tila is probably best known by his time judging Cutthroat Kitchen, but before that, got his really huge start with Steve Wynn at the Encore Hotel & Casino opening Wazuzu, which featured Pan-Asian dining. Let us go backwards in time, and explore some of Jet’s history though, shall we? He is one captivating and inspiring individual with an interesting history. Jet’s Chinese Grandparents moved to Thailand where Jet’s parents were born way back in the day, and in 1966 they moved to Los Angeles. This was America’s first wave of Thai immigrants, so they were among the first Thai’s to set foot in America. 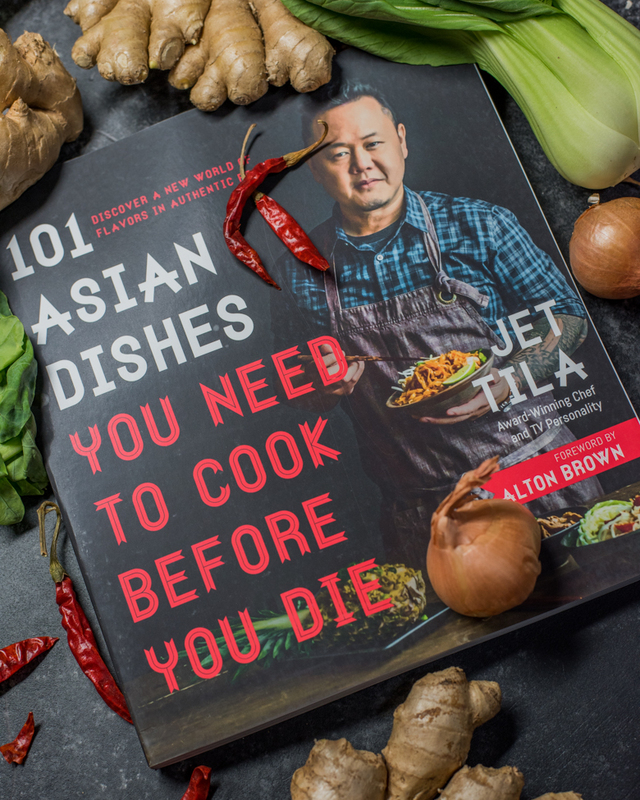 As they were settling in, Jet’s parents would usually grocery shop in Chinatown, but still didn’t have all the ingredients needed for the Thai dishes they were accustomed to cooking. They saw a gap in the market, seized the opportunity, and opened up Bankok Market in 1972. In the infancy of the market, Jet’s parents would ask their friends immigrating to the US from Thailand to bring cases of goods over with them to help supply their fledgling store. His father even brought seeds over for the produce needed for Thai cooking. They would grow their own vegetables for their market, but the season was too short to sustain the market year-round. To solve the issue, they expanded the operation to Mexico for the winter months, helping to supply the store further. The Bankok Market became a cornerstone of the Thai community because it was the first of it’s kind, providing people with the ingredients to honor their heritage. It remains a community center to this day. Jet grew up in Los Angeles, and would watch his Grandmother cook meals for the family. She was his first culinary teacher, and eventually he started helping prepare his family’s meals. When he was old enough, he started working at his parent’s market, where he would bag groceries for chefs, and help harvest the fields. He saw the food grow from seed, then go from harvest to market, then to the restaurant, and finally the table. He initially didn’t want to be in food, but growing up the way he did, working in food would be his destiny. 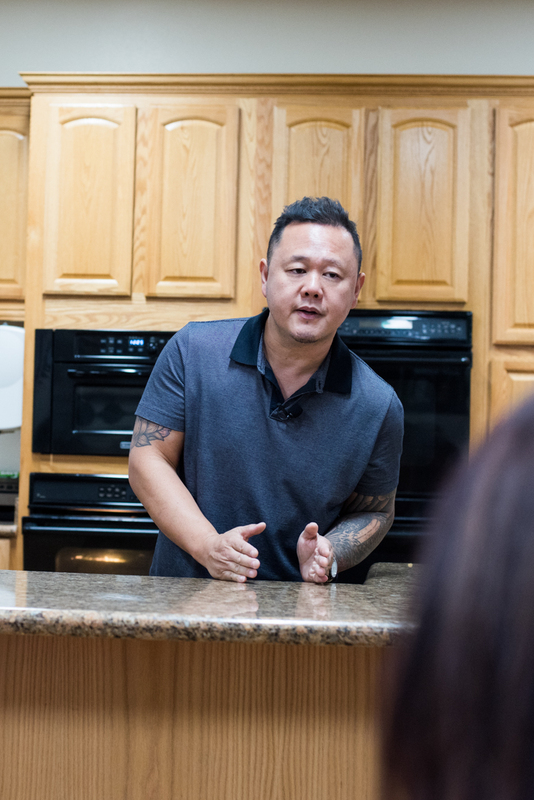 He started with classes in his parent’s market, teaching people how to make the authentic Thai dishes that they were eating at the restaurants. He got an enormous response from that, which would be the first of many in his life that would eventually lead him to the Food Network, and ultimately, his new book! I’ve had this book for about two weeks now, and I have to tell you – I just can’t get enough of it. 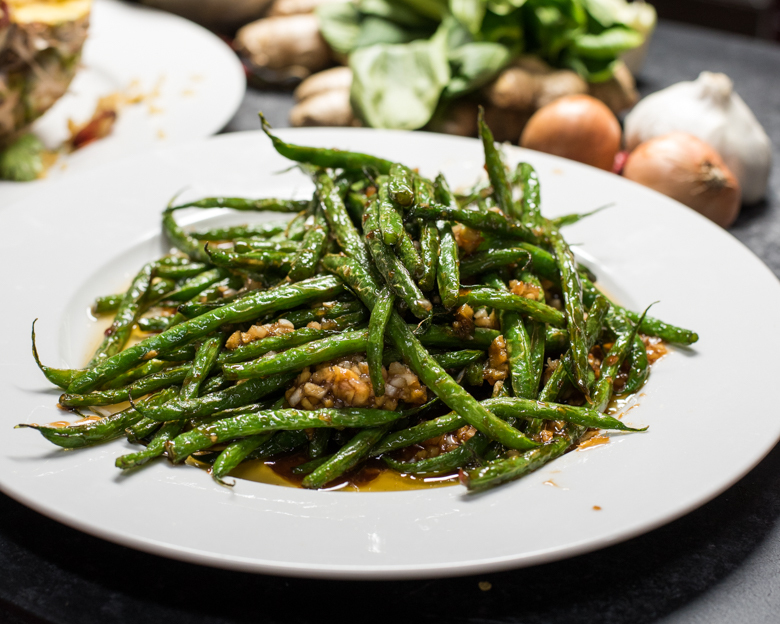 I’ve tried the Szechuan-Style Green Beans, Classic Lo-Mein Noodles, and my current new favorite – Buddha’s Delight – Vegetable Feast! I love it so much, we’ve had it twice already. 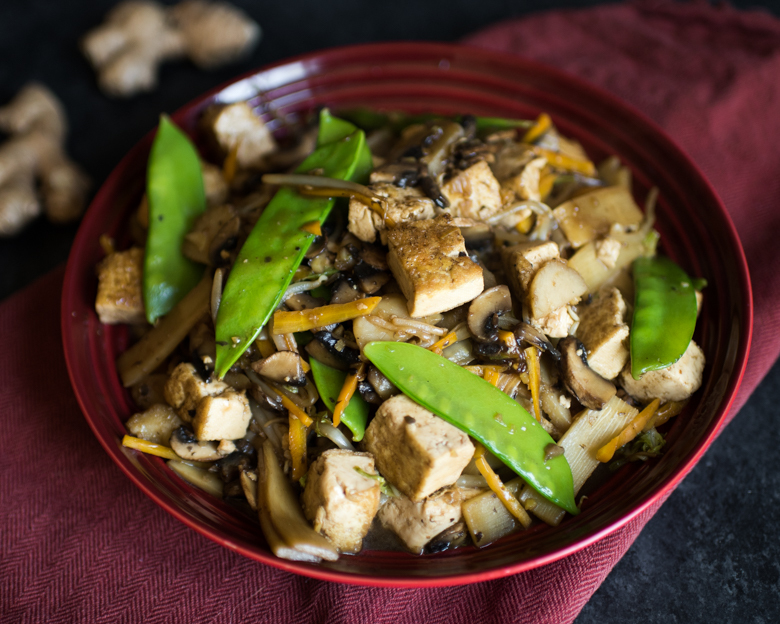 Chock full of veggies and protein from the tofu, it’s a dish that will satisfy your every craving. Doesn’t that look absolutely gorgeous?! Even though there are recipes containing meat, most of them can be substituted for or left out if you’re vegetarian. Many of the recipes call for either fish sauce or oyster sauce too, however vegetarian versions of those sauces DO EXIST! I did not know that before Jet’s presentation. Let me put it this way, I love this book so much that I ordered vegetarian oyster sauce, and actually bought a legit wok. Chef Tila says that any wok that is made of carbon steel is the best, so that’s what I went with. It gets here on Wednesday! I also ended up with a wok spatula too. If you’re going to do it, you might as well do it right…. right? 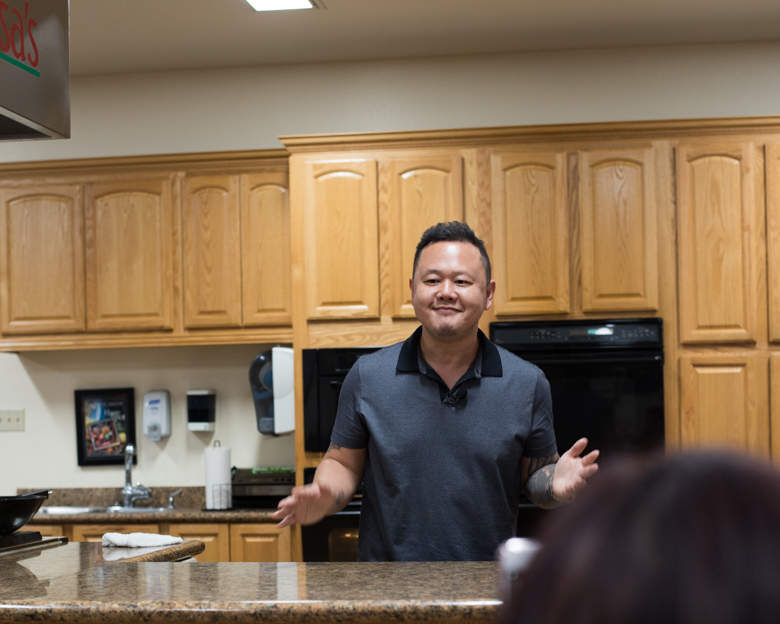 Chef Jet Tila is definitely an inspiration. This is truly my favorite cookbook right now, and is already starting to show wear from being in the kitchen and getting spilled on. 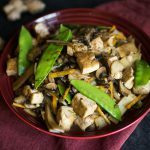 It’s inspired me to dive deeper, and even immerse myself in Asian Cuisine, and recognize what makes a dish uniquely Thai, Chinese, Vietnamese, etc. Everything is delicious. 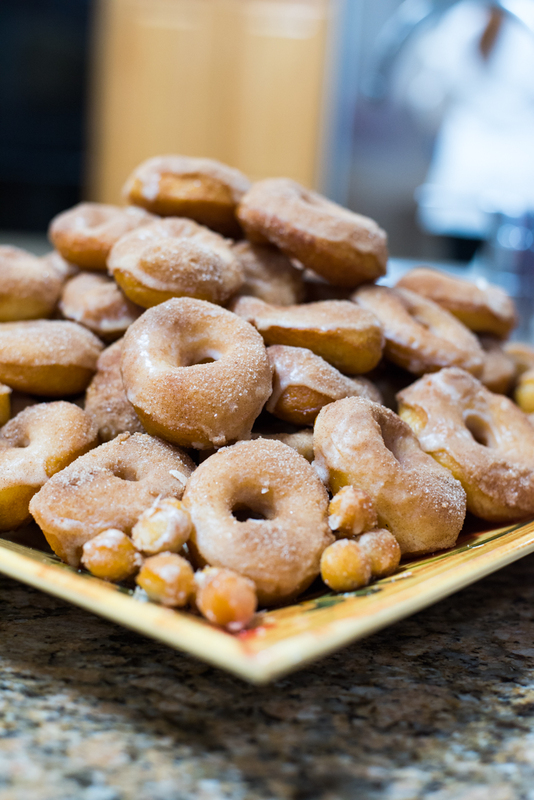 It even has a recipe for easy doughnuts (yes, easy!) among other enchanting sweets. Can’t ask for much more! 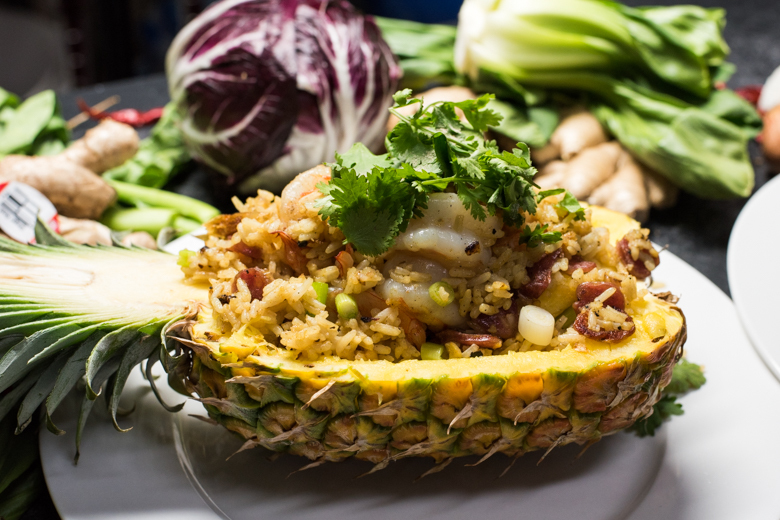 Check out the recipe for Buddha’s Delight below, and if you think you’d like to dive deeper, check out Chef Jet Tila’s book here! Stir together all the sauce ingredients in a small bowl, making sure the cornstarch is dissolved well. Set aside. Heat a wok or large skillet over medium-high to high heat. 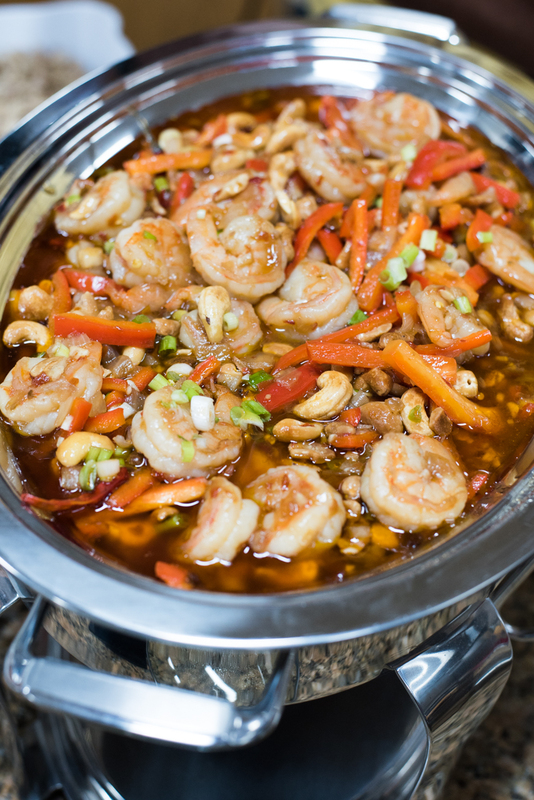 Swirl in 2 tablespoons of oil to the heated wok and coat the bottom. 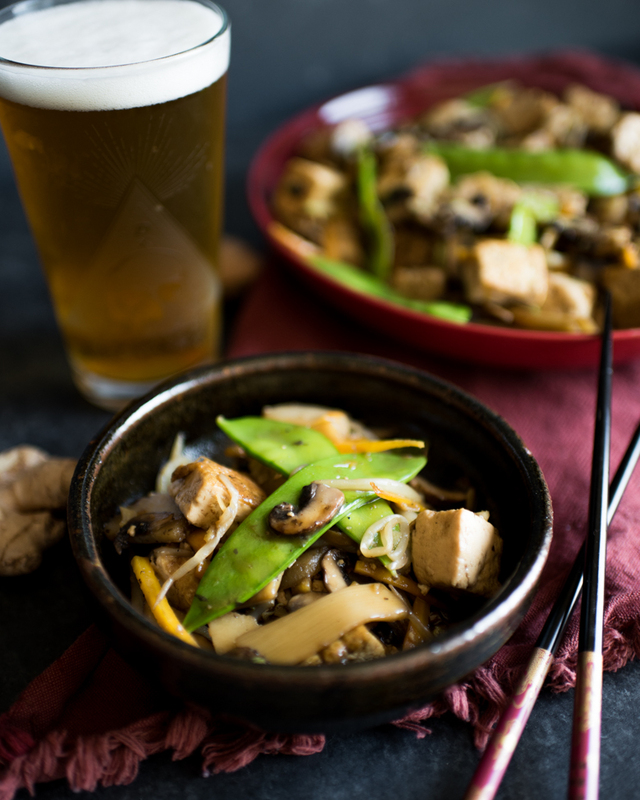 When you see wisps of white smoke, add the tofu, and stir-fry until light brown on the edges, about 2 minutes. Then add the ginger and stir-fry it until aromatic, about 30 seconds. Add all the remaining vegetables and keep them moving while searing. Don't be scared to scrape the pan and fold the vegetables over many times. 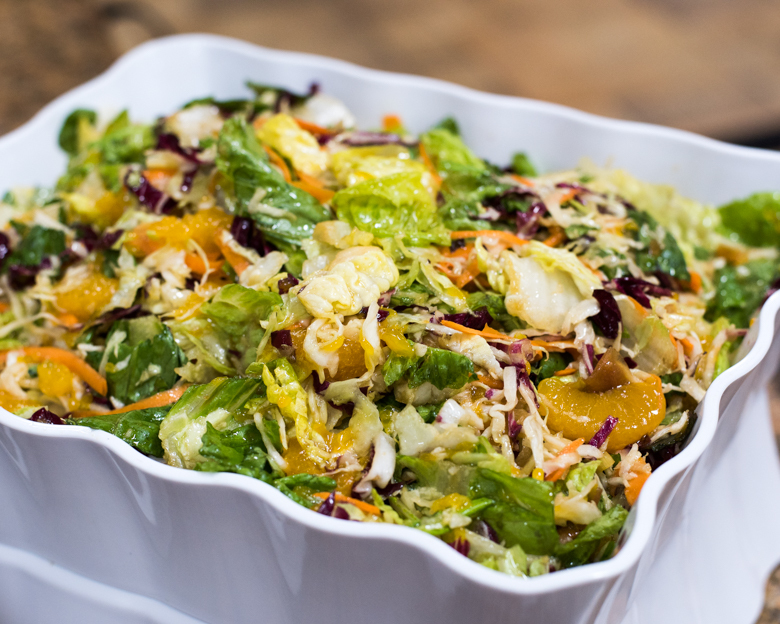 Cook for about 1-2 minutes or until the Napa cabbage gets bright green and starts to soften. PRO TIPS: Cut all the larger vegetables into 1/4-inch strips and keep smaller vegetables like snow peas and beansprouts whole. 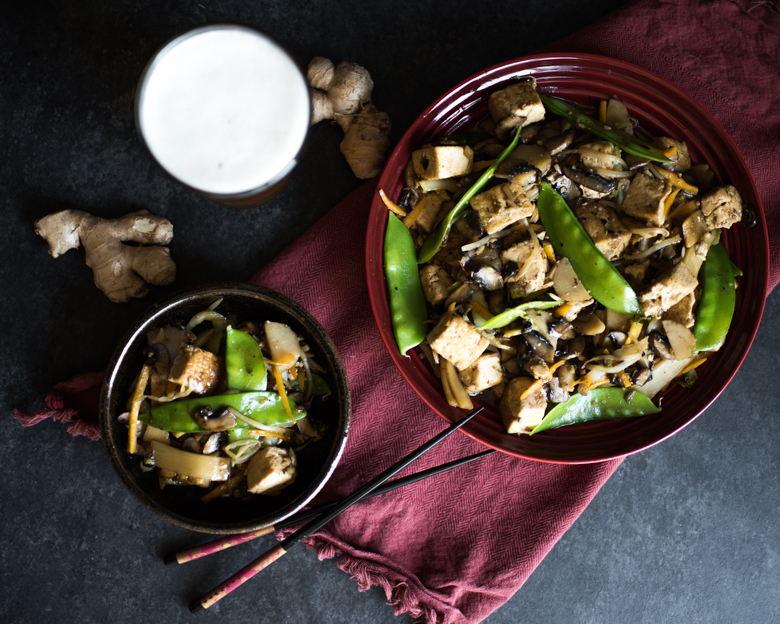 The best tofu for the wok is tofu that is vacuum packaged, not the tofu in water. This tofu has naturally formed a skin and will not stick in the wok or pan. It comes naturally white, fried or often coated in a soy sauce or five-spiced glaze. It is usually in the deli section of a well-stocked grocery store and sometimes merchandised next to the cheese and cold cuts. 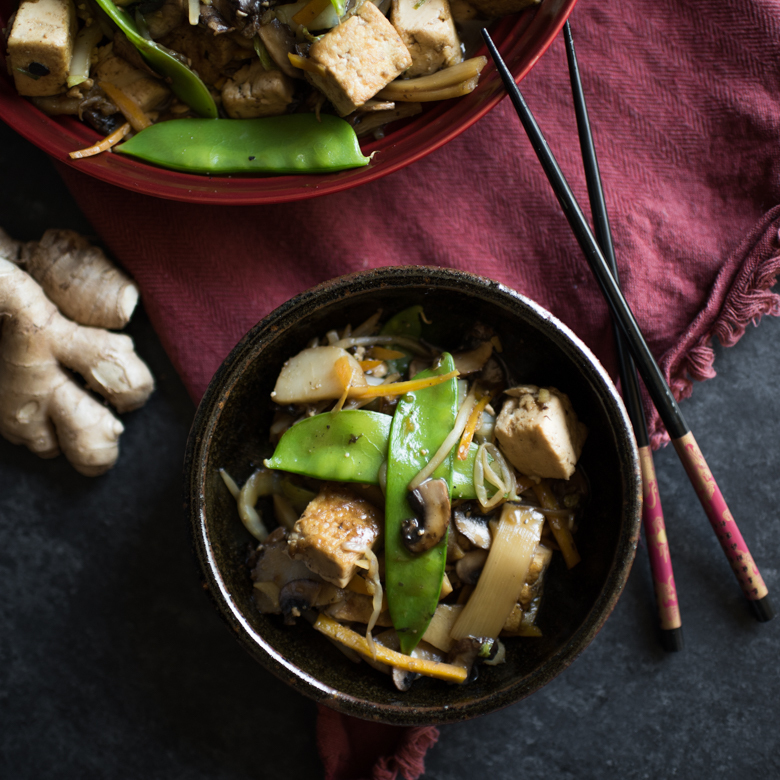 Tofu in water should only be used for wet applications like soups or braises. FOR VEGETARIAN: Vegetarian Oyster Sauce does exist! 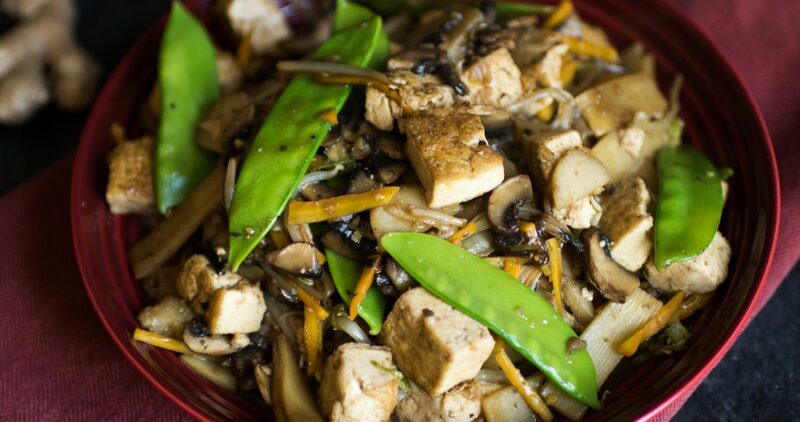 To make this dish legitimately vegetarian, use vegetarian oyster sauce. If you can't find it at your local market, Amazon does have it. *Disclaimer I was given this book by Melissa’s Produce, along with most of the ingredients to cook this meal. I was not compensated in any other way, and all opinions are my own. This post contains affiliate links. Great recap of a wonderful event. Your Buddha’s Delight would make Jet proud!